The Panerai Lab-ID Luminor 1950 Carbotech 3 Days With 50-Year Guarantee! Carbon. You wouldn’t be here without it. Carbon is not only the building block of life as we know it, but also the fourth most abundant element in the universe by mass. Nearly all the carbon in the universe was created in the bellies of stars, giants, and supergiants, where the temperatures reached over 99 million degrees Celsius. Fusion of three helium-4 nuclei (alpha particles), caused by the high temperature and pressure found in the center of massive suns larger than ours in what is know as the triple-alpha process, transforms them into carbon atoms and, subsequently, everything we hold dear. Carbon is an extremely useful element, mainly due to its ability to bond with a variety of other elements or itself. And it has the uncanny ability to form into both the hardest known naturally occurring substance (diamond) and a material so soft it crumbles against the slightest touch (graphite). In between these extremes and in various atomic structures, carbon has basically made much of the physical universe possible and our earth a rather perfect spot for life. While carbon has been known to man since antiquity, it is only in the last 100 years that have we really started to scratch the surface of what the element can do. Material science has begun to unlock the potential of carbon in its many forms, and those discoveries have been slowly making our world a more interesting place. Take watchmaking for example: carbon fiber, DLC coatings, and now carbon nano tubes have entered the field to “disrupt” traditional horological materials and their use. One brand that has wholeheartedly committed to carbon development is Officine Panerai with its new research-and-development-inspired timepiece, the Lab-ID Luminor 1950 Carbotech 3 Days. The first part of the name stems from “Laboratorio di Idee,” Panerai’s research lab, which literally translates into “laboratory of ideas.” Clearly Panerai is focusing serious effort on developing advanced materials and technology for use in watchmaking. I’ll start off by mentioning that the main talking point for the Lab-ID is that it comes with a 50-year guarantee for the movement. Now this guarantee is not unconditional or even related to the entire watch; simply that the movement should need no maintenance or lubrication for at least 50 years thanks to a variety of carbon-based low-friction solutions. Throughout the movement, carbon has been used in a variety of forms to reduce the coefficient of friction between moving parts to near zero. The first step in reducing friction is addressing the jewels, right? Well, yes and no. The beginnings of an oil- and lubrication-free movement began with the plates and bridges of the movement structure, which are made from a composite ceramic that uses tantalum as its base. Tantalum is most widely used for capacitors in the electronics industry, but also as a hard transition metal that is highly corrosion resistant. Tantalum, though extremely difficult to machine, makes for a tantalizing (sorry, I had to) base for a composite material when used as a case material in watchmaking (see Heartbeat: The High-Lume-Glow-In-The-Dark Urwerk UR 110 TTH). For the Lab-ID Luminor 1950 Carbotech 3 Days, a high percentage of carbon was added to the ceramic composite, which turned it into a carbide, making for an extremely low-friction material. Since this substance makes up the movement’s plates and bridges, the pivot jewels can be eliminated and the holes resized to accept wheel pivots. This is something we’ve already seen a version of in Ulysse Nardin’s InnoVision I. Every jewel in the gear train was eliminated and only four remain on the Incabloc shock system. These remaining four jewels were coated with DLC (diamond-like carbon) to further reduce friction as compared to the standard jewel bearing and introduce another “dry lubricant” into the mix. The next logical place to address reducing friction is the escapement, which was made from silicon (already a non-lubricant requiring material) and also coated with DLC. This takes a low-friction application and gives it a boost while reducing wear on the components even more. Finally, to reduce friction in the power source, the Laboratorio di Idee spent two years researching the best combinations of coatings for the spring barrels, resulting in a multilayer scenario that finishes with – you guessed it – a DLC coating. When all of this coating and material science comes together, the result is a lubricant-free movement that shouldn’t need servicing and oiling (for anything related to wear) for more than 50 years. This is a rather bold claim to make. But given the materials used, a well-tended example might very easily make it to that number. Of course any watch that won’t look great after 50 years of wear and tear would be a poor candidate for such a movement. That’s why carbon has found its way into other parts of the Lab-ID as well. First, the dial is coated with carbon nano tubes (see my discussion of carbon nano tubes in the article Design Discussion On Contrast & Texture: How Vantablack And Other Techs Are Disrupting Watch Norms) to create a rather dark black. Since the coating isn’t the typical grown nano tubes like Vantablack, but instead an applied coating, the nano tubes aren’t all orientated in a vertical, tight grouping so there is some light reflection. The dial still is very black, and since the black appearance is created not by pigment but by physics, the dial should not fade over time. However, while strong, the coatings are fragile, so no printing or manipulation of the dial is possible without destroying the beautiful blackness. The ever-popular sandwich dial is therefore employed to allow glowing blue Super-LumiNova to shine out from the darkness, while the logos are printed onto the underside of the sapphire crystal. The final implementation of carbon is something that has been seen in other Panerai watches: the Carbotech case. This is a unique carbon fiber composite that instead of utilizing a resin as a binding agent uses a thermoplastic called PEEK (polyether ether ketone). PEEK has excellent mechanical properties and is very resistant to chemical corrosion. And unlike many thermoplastics, PEEK has a rather high melting point. At 700° Fahrenheit, the melting point is at least 200 degrees higher than many thermoplastics, meaning that it can stay solid in much higher temperatures. This allows for an interesting difference in the processing method. Most carbon fiber composites are heated and compressed to activate a temperature-sensitive resin; the resin cures via a chemical reaction and will only flow as long as it isn’t fully cured. In creating a block of Carbotech, very thin sheets of carbon fiber and PEEK are heated and compressed (like usual), but since the thermoplastic will always stay fluid if above its melting temperature, a more integrated composite can be created. The PEEK can flow in between every fiber and form a more cohesive product (in theory) because a longer compression time can be used. We are talking about very small differences in the dispersal of the fibers throughout the composite, but it should be a bit more uniform. Another bonus is that due to the PEEK being a thermoplastic, the Carbotech composite should be more resistant to chips compared to a fully cured resin based carbon fiber. The Panerai Lab-ID is a very handsome watch featuring some serious material science behind it. Some of it has been seen before, but the combination of all the carbon forms has created a watch that might bring new collectors to the brand and provide a new avenue of passion for the dyed-in-the-wool Paneristi. As a research-and-development-based piece, I applaud the direction that Panerai has gone, especially in the attempts to make an oil-free movement. Whether the 50-year guarantee will prove accurate, I can’t say. But the effort and motivation will send ripples across the industry. It may be slow at first, but creating movements with no need for jewels, lubrication, or maintenance just might be the next wave of technology to sweep across the watchmaking community. Other brands have made valiant attempts at such a watch, yet outside concept watches, we haven’t yet seen many of the benefits on the wrist. Technology and material science is usually a slow development process, especially when considering product cycles, so I wouldn’t expect every new watch in 2018 to be oil-free. Still, it bodes well for the future that simply swapping materials and coatings could eliminate the need for oils and finally fulfill the hopes of Abraham-Louis Breguet, who searched for the perfect oil. 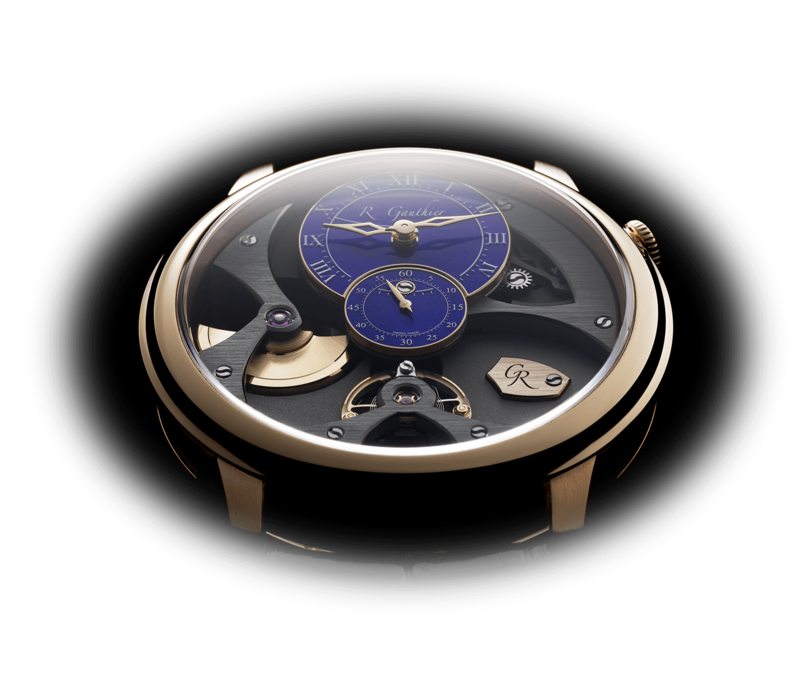 Plus, if a heritage-focused brand like Panerai can be a leader in materials and create a movement that looks this cool, it should give a kick-in-the-pants to every brand claiming to push the boundaries of technology. Many creative designers, engineers, and movement specialists surely would love to have opportunities to work with new materials and test exciting combinations if only management would allow it. Luckily it seems that the management at Officine Panerai understands that focusing on materials and technology is a sure-fire way to become an industry leader rather quickly. Here’s hoping that the trend continues. And for another trend that is going to continue, the breakdown! Wowza Factor * 8.75 Carbon can do a lot, including blow you away by a oil-free movement and a super black dial! Late Night Lust Appeal * 87.5 » 858.081 m/s2 Darkness has a way of creeping in late at night. That isn’t helped when the Lab-ID is a black carbon nugget of goodness! M.G.R. * 68.75 Three-handed time indication and power reserve usually need to be on much more outlandish movement architecture to get a score like this. But when you consider that there are only four jewels and the movement is lubricant free, it takes on a whole new life! Added-Functionitis * Mild Even when you consider that the movement is lubricant free, the only added function is the power reserve. A power reserve is crucial on a manual-wind watch, but you still only need children’s strength Gotta-HAVE-That cream for this deceptively dark horological swelling! Ouch Outline * 11.9 Biting down on a pebble in your peas! Okay, I have been lucky enough not to break a tooth this way, but given the amount of hard things I’ve accidentally bitten in my life, I can imagine the terrible feeling of this! Even with that, I still might consider putting my mouth on the line for a chance to get the Lab-ID around my wrist! Mermaid Moment * 50 years! It would be a lot faster than 50 years to fall in love with the Lab-ID. But given that you are given a guarantee by Panerai that you won’t need to service it for 50 years (for lubrication), that is reason enough to book a chapel! Awesome Total * 900 Multiply the number of hours power reserve (72) with the years of guarantee for the movement (50), then divide by the number of jewels in the movement (4) to get a friction free awesome total! 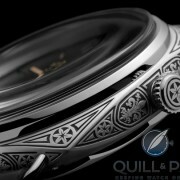 For more information, please visit www.panerai.com/en-us/collections/special-editions/2017/panerai-lab-idluminor-1950-carbotech-3-days49mmpam00700. You may also be interested in Prediction Comes True: Panerai Lo Scienziato Luminor 1950 Tourbillon GMT Titanium With DMLS 3D-Printed Titanium Case.